I hate electrical wires in my photos. But, alas, Photo 365 is my commitment to taking a picture a day with my iPhone, so wires remain. 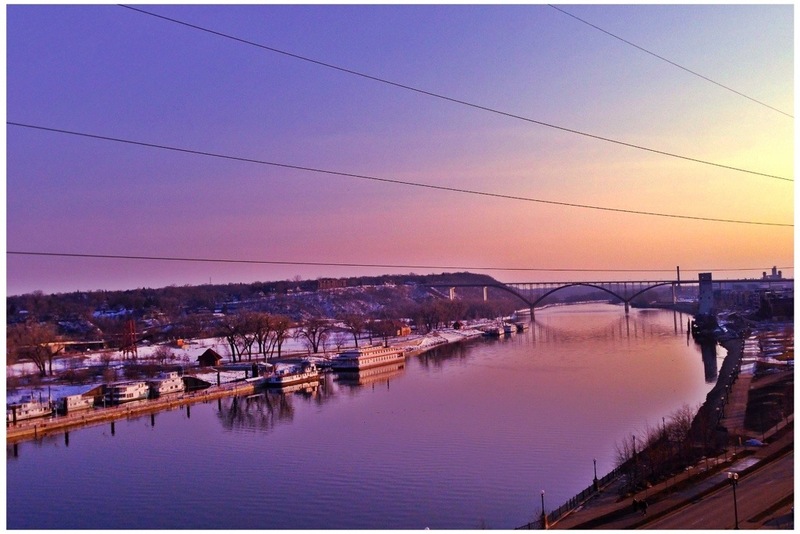 This is day 87, sunset over the Mississippi River in downtown Saint Paul. In a strange way, the wires fit! Proving electricity comes from the sun, I guess. Nice use of leading lines, even though they usually are just a nuisance.